We all had those huge ugly calculators in the old days. Now we don't need them: we have laptops, tablets and smartphone calculator apps. But what to do with those almost vintage devices we store in the garage. 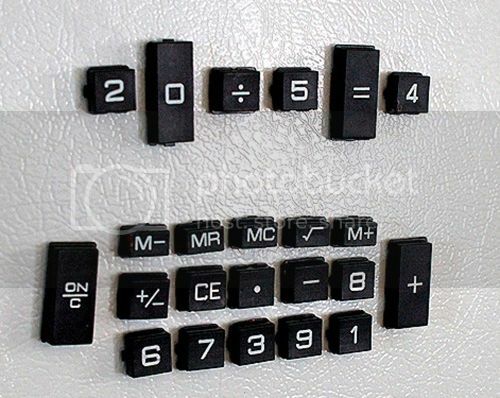 Here's one cool idea: create fun DIY fridge magnets to help your kid learn math.